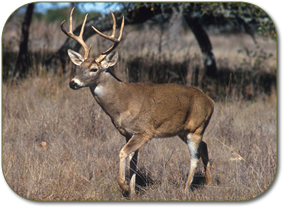 Although primarily a bird hunting preserve, there are several deer stands hidden in the woods for a select, limited number of deer hunters. There is a large population of deer in the area and patience is usually rewarded. Please reserve your deer-hunting day in advance so you will be assured of one of these limited opportunities. Please visit our rates page for information on pricing or contact us with any questions!